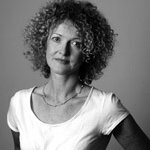 Justine McCarthy will address the above topic at the Spirit of Mother Jones summer school on Monday August 1st August 2016. Justine is from Bandon, Co Cork and was educated at the Ursuline convent in Blackrock. Her father and grand-father were councillors and her immersion in a political family has stood to her as a commentator on contemporary politics and Irish life. Justine McCarthy was chief features writer and columnist with the Irish Independent from 1984. She is now a columnist and reporter with The Sunday Times. Ms McCarthy worked with Aspect and Village magazine and her articles have appeared in newspapers such as the Guardian, Observer and Washington Post. 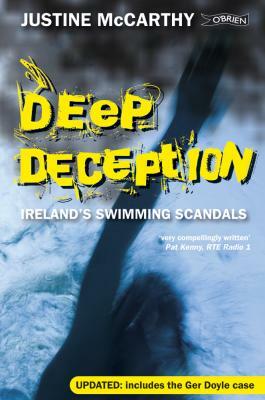 She is the author of Mary McAleese: The Outsider and Deep Deception: Ireland’s Swimming Scandals.Justine has won more than a dozen journalism awards, including the Journalists’ Journalists features writer award. Kevin Myers once described one of her columns as “the very quintessence of the feminist narrative” which, she was surprised to read on Wikipedia, was intended as criticism. She considered it a compliment! She is a regular broadcaster and appears frequently on Tonight with Vincent Browne where her forthright comments usually ensure respectful silence from Mr Browne. 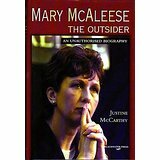 Ms McCarthy is an adjunct professor of journalism at the University of Limerick. Her commitment to the truth in her writing along with her absolute determination to expose cant, hypocrisy and injustice in the Irish political system stand out. She is a strong and committed defender of those seeking justice in Ireland and her opinions on issues which matter are expressed cogently and fearlessly. Justine McCarthy will speak to the topic “Greed is Good for Nothing” at the Spirit of Mother Jones summer school on Monday evening 1st August at 7.30 pm at the Maldron Hotel.